Oregon highways can be busy blurs when traffic speeds by at a nerve shattering rate. I prefer to slow down, get out of the race, set my own pace and roll on two wheels for travel across my home state. 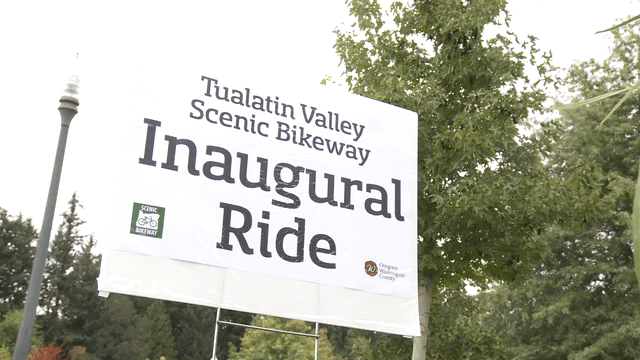 This week, cycling gained new ground and new supporters who took time to explore a new route that will have you grabbing your helmet, climbing aboard a two-wheeler and discovering a spirit of adventure on the new Tualatin Valley State Scenic Bikeway. You can tell a lot about a community by the way its citizens roll, especially when it involves two wheels. “Biking is fun! 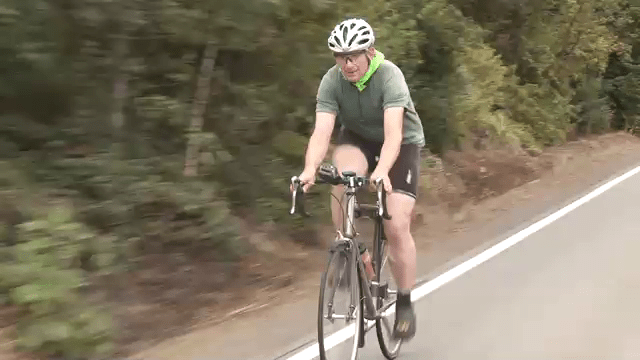 People love biking and they love Oregon,” said Alex Phillips. Alex is the Oregon State Parks cycling expert and she has worked closely with 11 communities across the state to guide each through the Oregon Scenic Bikeways designation process. 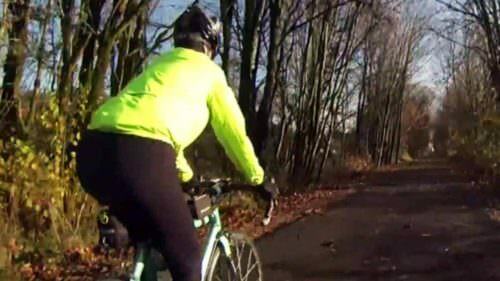 She said that the new Tualatin Valley State Scenic Bikeway was three years in the making. 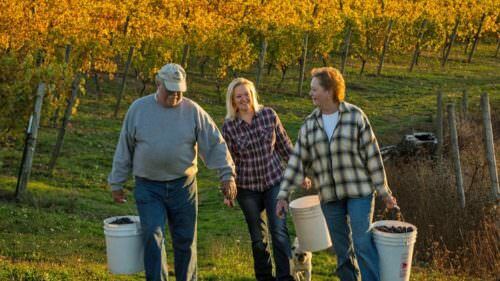 “This is a beautiful bikeway; a little more than 50 miles long, and it takes riders past vineyards with glimpses of the coast range mountains. 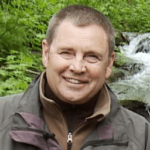 You also ride through neat towns including Forest Grove, Banks and Vernonia.” There’s an added bonus – the bikeway is less than a mile from a MAX Light Rail Station, so you can hop on Max in downtown Portland and ride to the start of the bikeway at Rood Bridge Park in Hillsboro. 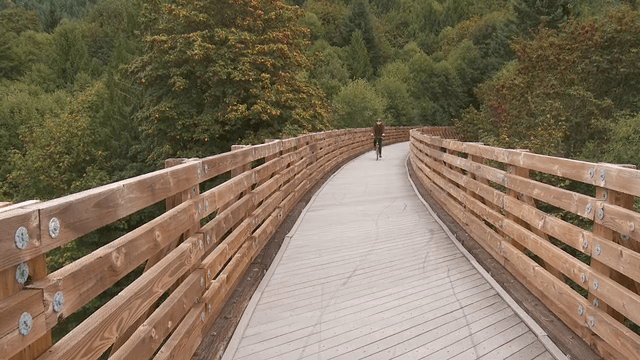 The northern section of the bikeway couldn’t be any easier to find or ride, because it’s actually the long-established Banks-Vernonia State Trail. 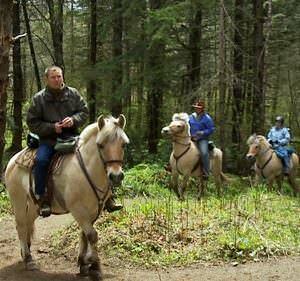 It’s 21 miles long, ten feet wide and paved the entire length, making it an easy ride for every member of the family. This section also takes you through L.L. Stub Stewart State Park Campground, so you can drop in for a longer stay and perhaps enjoy a round of disc golf or try out the new off-road cycling trail.